Seconds Before Sunrise releases August 25, and you can win! 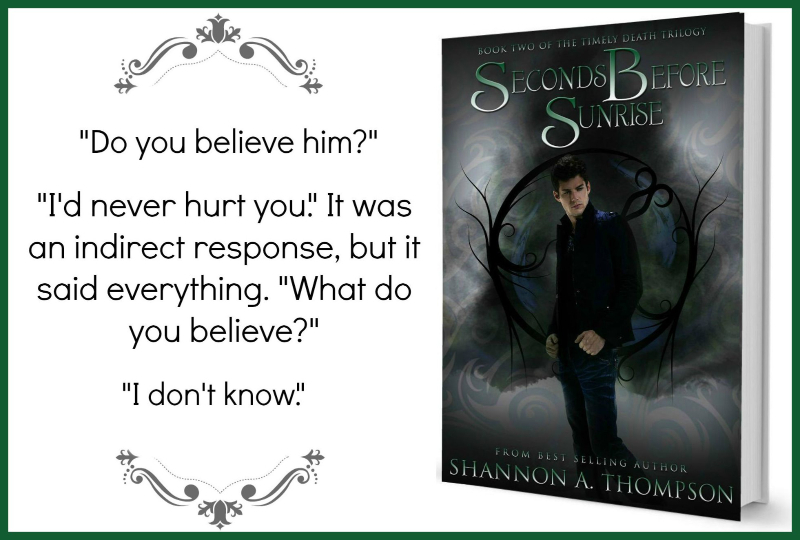 Seconds Before Sunrise releases August 25, and I need YOU! Please let me know you’re helping by replying or shooting me a message to shannonathompson@aol.com. This will allow me to enter you into the raffle and to share your website on mine. Do whatever you want with your post. (Have fun! Be creative!) 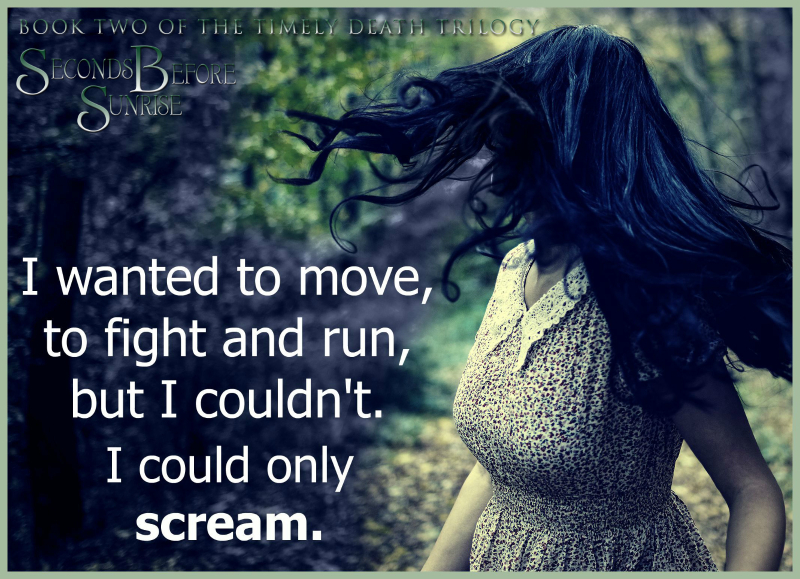 But please share one of the new teasers on release day as well as the links to Amazon and Barnes & Noble. 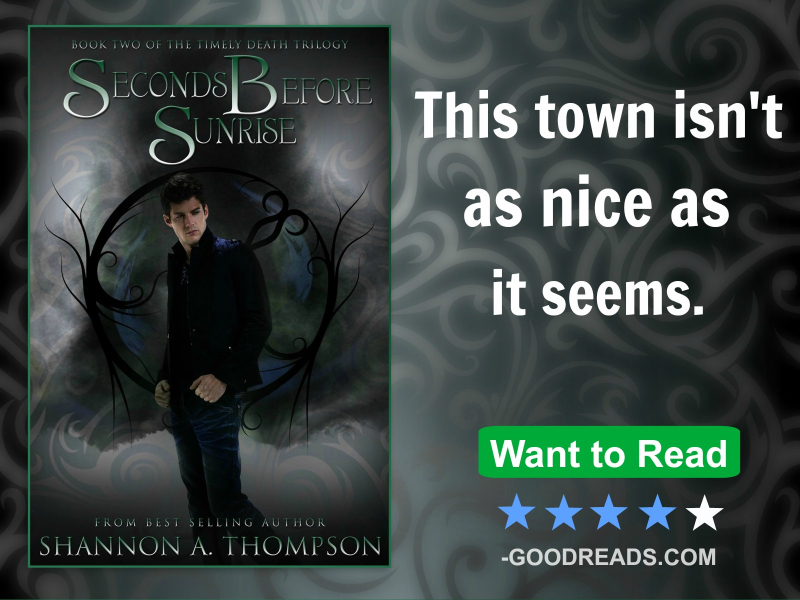 If you want additional links, here is Minutes Before Sunset, book 1, (Amazon, Barnes & Noble) and Death Before Daylight, book 3, (Amazon, Barnes & Noble). If you need any additional material, don’t hesitate to email me. In the same post – or in a separate post – share the CTP Find Your Next Read Facebook Party, which takes place on August 28. (I'm also including that photo below.) You can win paperbacks and more, so…;] I’ll be there! It was great to see a lot of you at the last one. It truly means the world to me when I see a familiar face, so thank you! 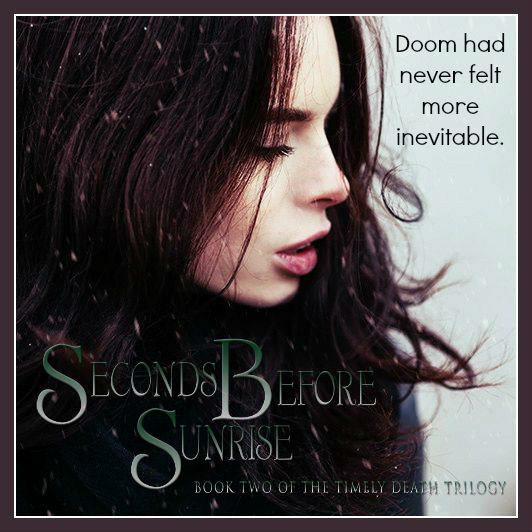 On a side note, you can enter this Goodreads Giveaway for Seconds Before Sunrise (ends August 23), and you can win during the Minutes Before Sunset blog tour too, which is going on right now. 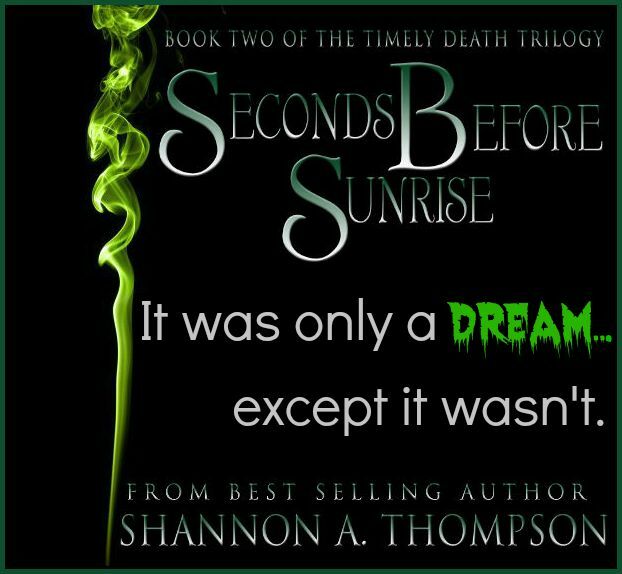 For those interested, you can still sign up for the Seconds Before Sunrise blog tour right here. I appreciate any and all help, and I hope you all win some of the fantastic prizes along the way! Most of all, I hope you all are having fun. If you want a prewritten post, please let me know. Copyright © 2015 Shannon A. Thompson, All rights reserved.